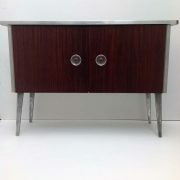 A Museum quality example of this inventive & iconic sideboard. 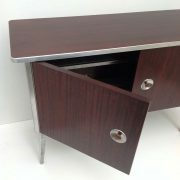 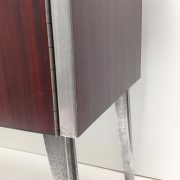 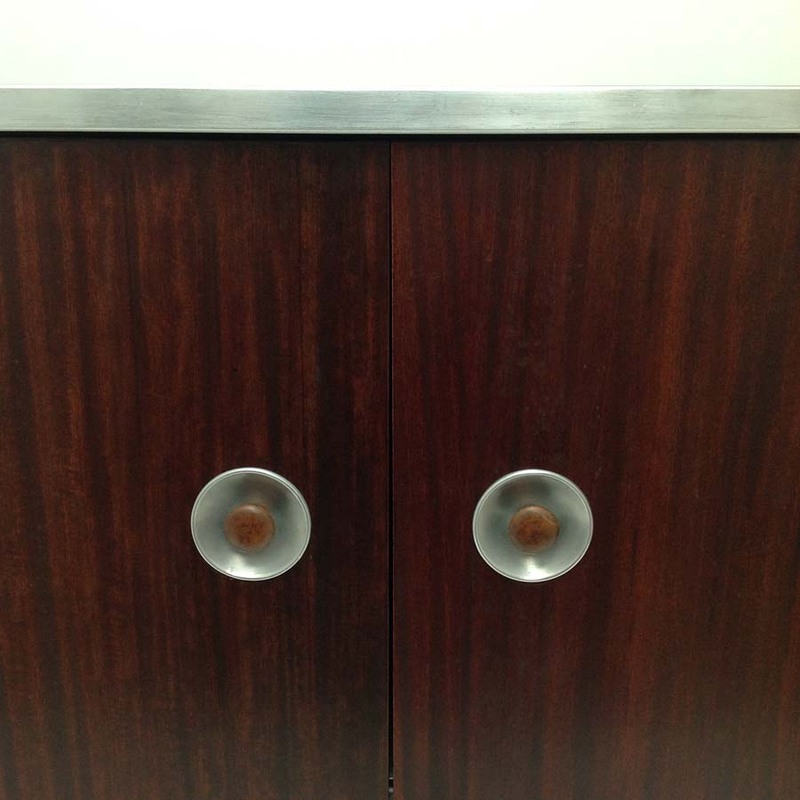 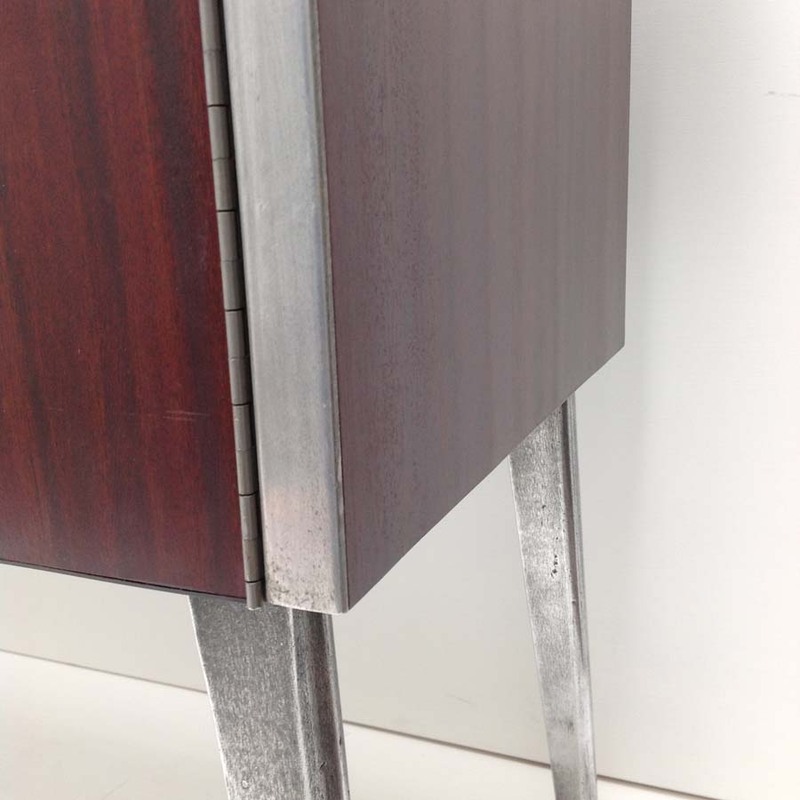 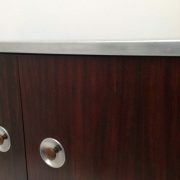 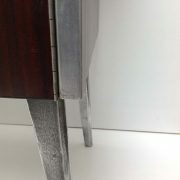 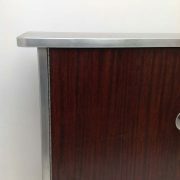 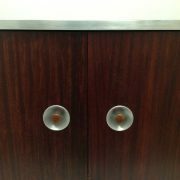 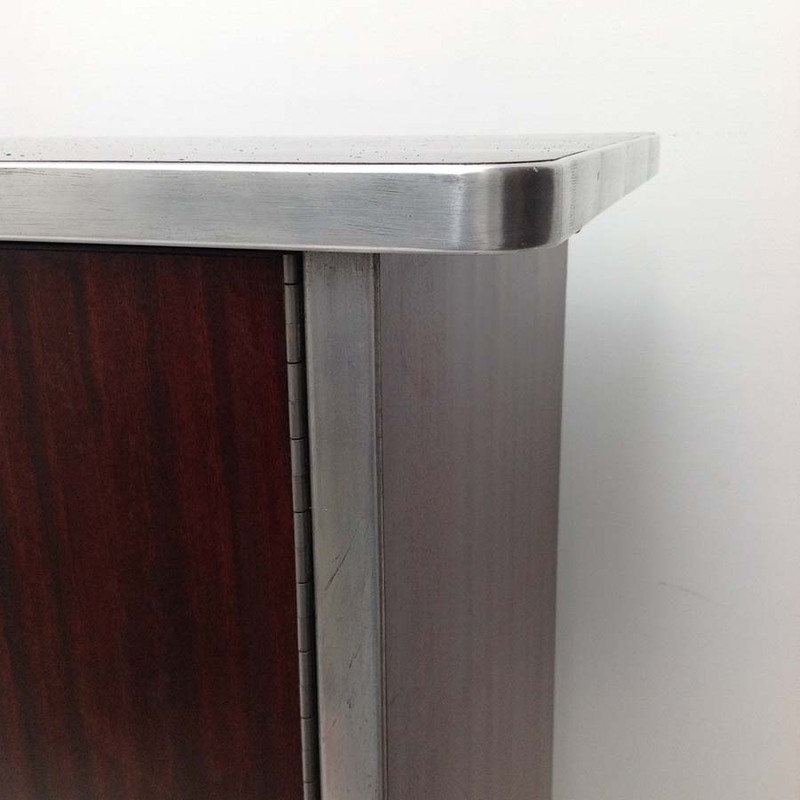 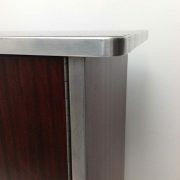 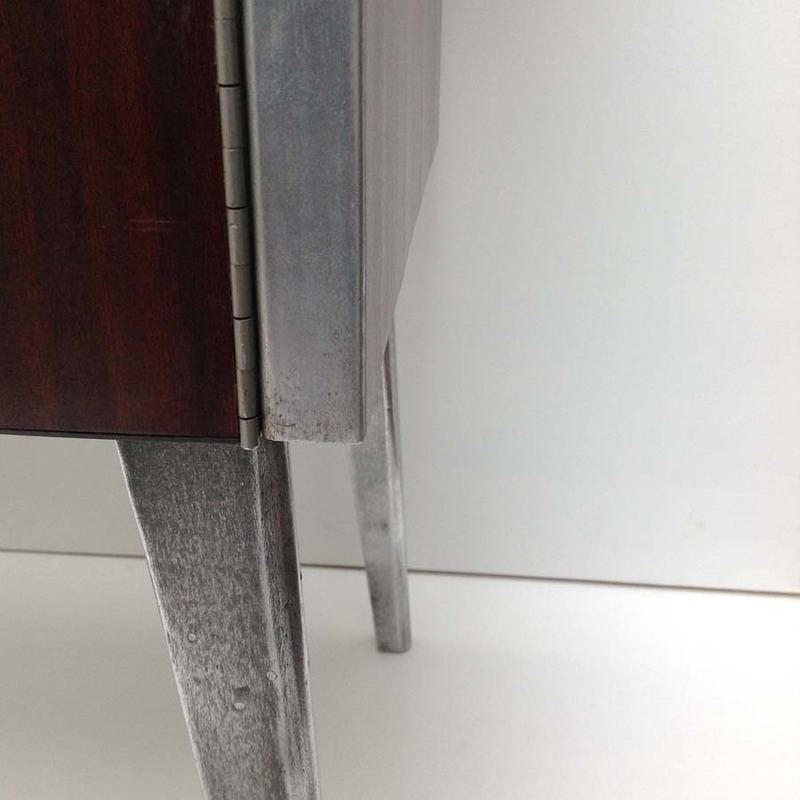 Race utilised mahogany veneered ‘Holoplast’ for the top, sides and doors due to post war timber shortage and heat shrunk aluminium trim and solid aluminium legs to utilise war surplus. 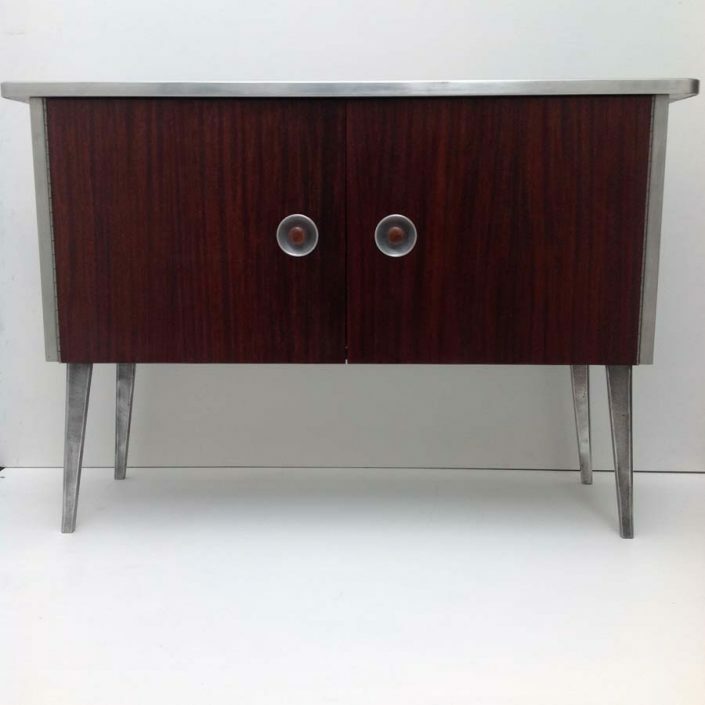 A seminal piece that still stands out from the crowds today.